As a young doctor with a beautiful family and a promising medical career, Dr. Leonard McCoy thought he had it all. 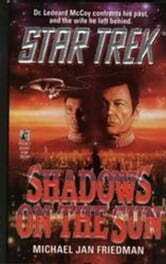 But when the woman he loved betrayed him, McCoy fled to Starfleet, hoping to lose his pain in the depths of space. 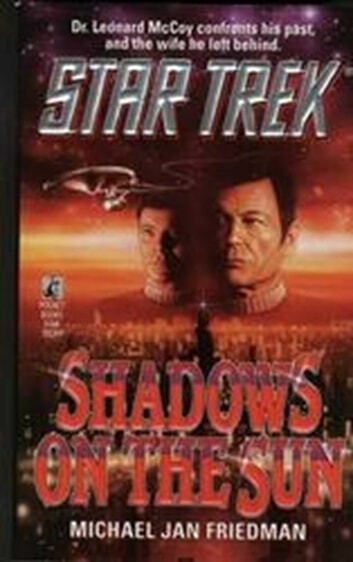 Now, more than forty years later, the EnterpriseTM and her crew are ordered to transport a group of mediators to the planet Ssan, a world where assassination is a time-honored tradition, and McCoy is surprised to learn that his ex-wife, now remarried, is one of the mediators. And before he can come to terms with his conflicted feelings for his former love, she and Captain Kirk are trapped on Susan, and McCoy is caught in an explosive civil war, the only one with the power to save the woman who once nearly destroyed him.